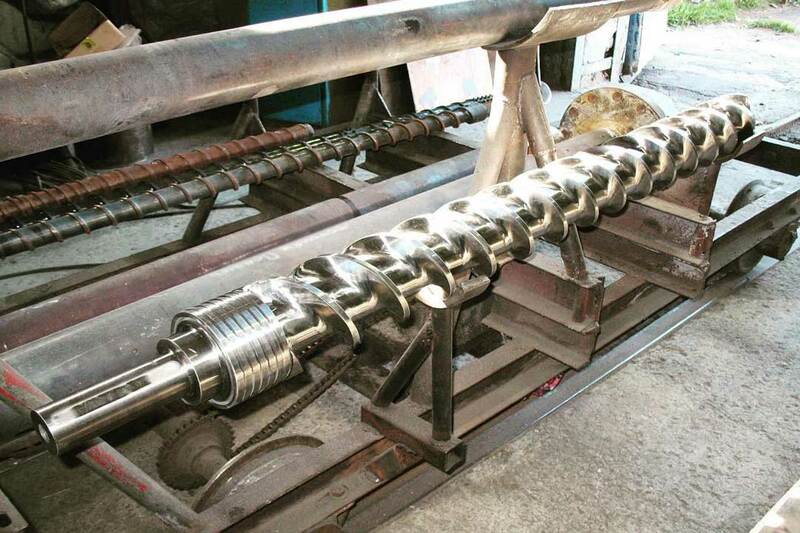 United Gear Works has the latest technology and capabilities of rebuilding all types of Screws and Barrels for injection molding, Oil Mills Twin Screws and Barrels, Oil Mill Screw segments and Shafts and Cages also for all processing plants, Band Berry Mixers and rotating equipment. 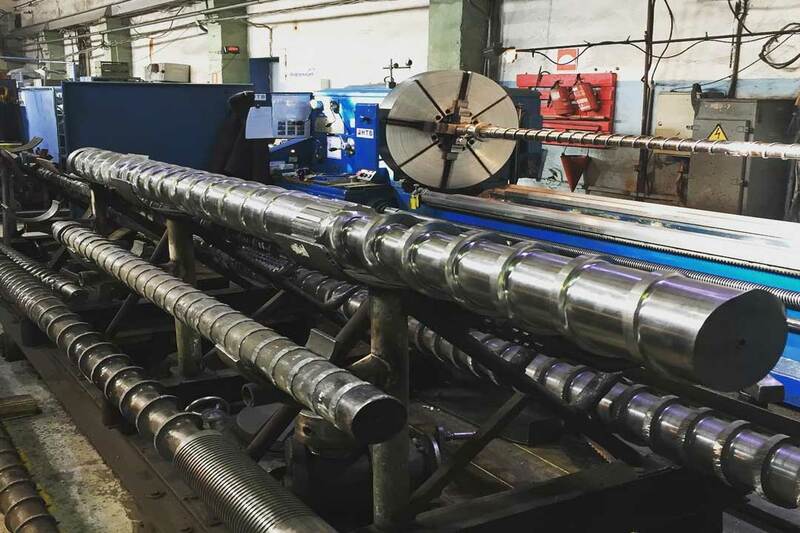 The reason for our strong position is our state of the art equipment, welding metalizing, plating, grinding, polish grinding and center-less grinding available. United Gear Works provides a warranty against wearing and chipping, flaking and peeling. Upon arrival of your equipment for wear, cracks, imperfections, straightness, alignment and concentricity. No equipment is scrap we can save it. we are looking forward to hearing from you. For shipping give us a call. 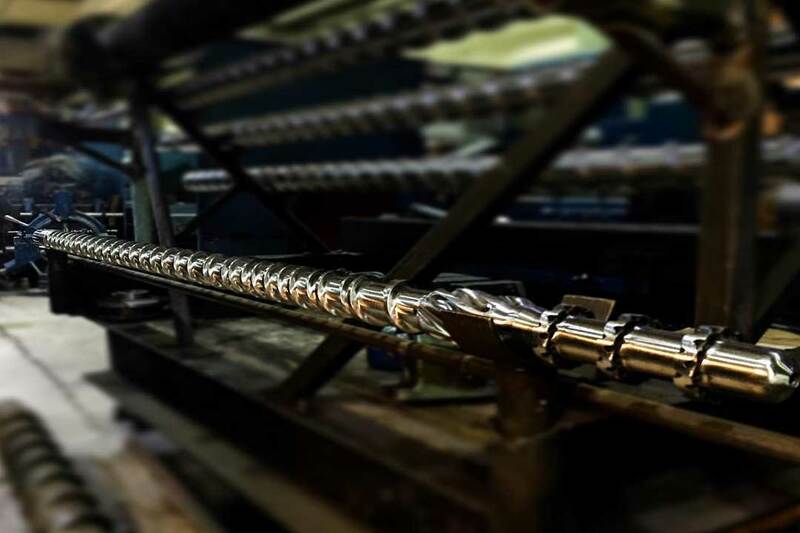 When we receive your screw for potential rebuilding, our team performs a thorough inspection of the overall condition of your screw as well as the current design. 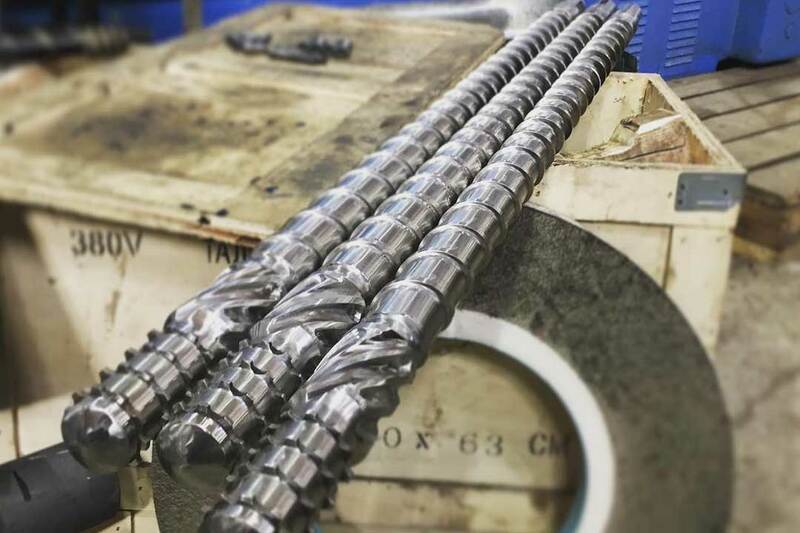 When it is cost effective we can refurbish your screw to like new condition, re-chrome, nitride, hardface, and even re-cut the existing design to improve performance and wear-life. When a feed screw is rebuilt properly, without narrowing of flight widths, the screw can be rebuilt time and time again - pushing massive savings to your company. United Gear Works re-establish O.E.M tolerances to all crucial screw dimensions. Once the final OD, channel geometry, drive end, etc. are repaired within spec, our team polishes the screw to like-new condition. 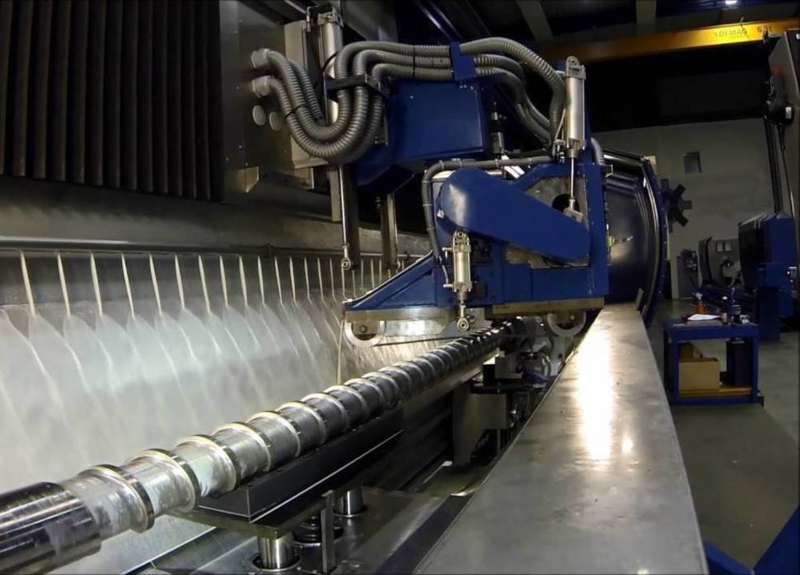 We offer a full range of secondary screw treatments to improve wear life. Rebuilding screws, barrels, and components before performance plummets and energy costs soar is crucial for overall productivity. 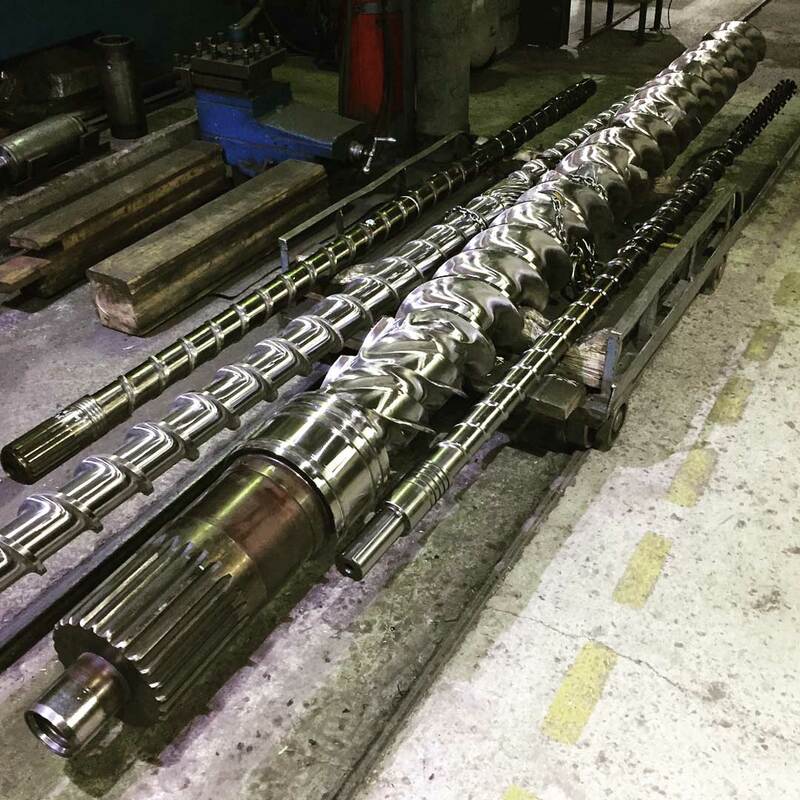 When feasible, making the decision to repair or rebuild your feedscrew or barrel can provide a substantial cost savings and extend the useful life of these vital parts. United Gear Works can usually let you know if this is an option by assessing your screw or barrel with an on site inspection or by viewing photos. 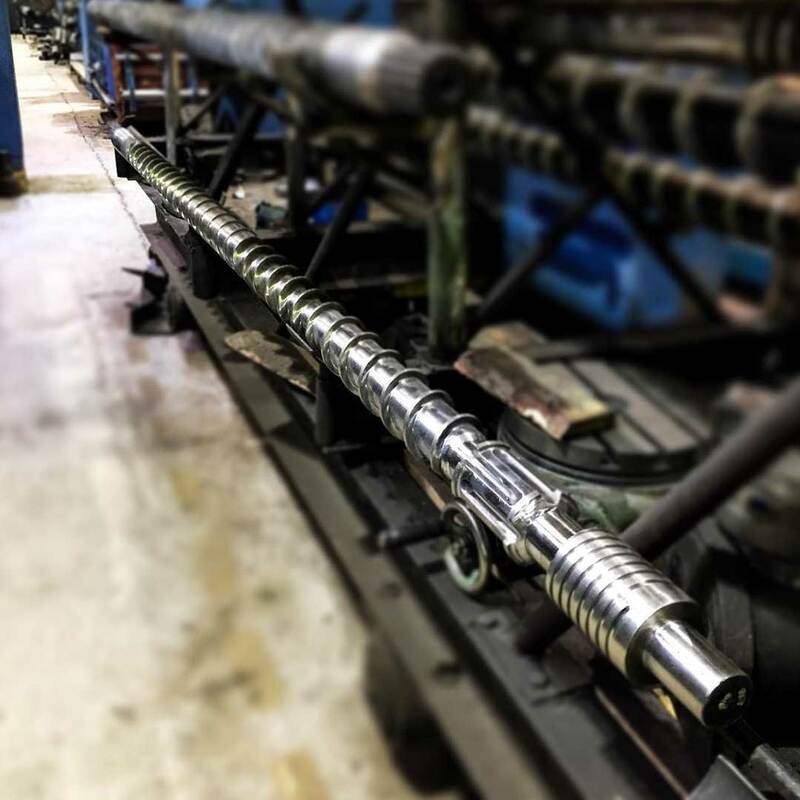 If your part is damaged or worn beyond repair we can manufacture a new barrel or new feed screw that meets the appropriate specifications. 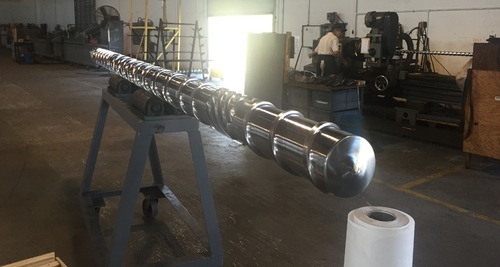 United Gear Works offer expert consulting and recommendations to guide you to the most cost effective method to repair or rebuild a feedscrew or barrel. Part of our value proposition is finding the lowest cost solution that meets your particular needs. barrels, feed throats, injection molding screws, feed screws, rubber molding screws, double-barreled screws, recycling knives, plastics granulating knives, grinder blades, chopper blades, and all types of mixtures, segments, and screens.